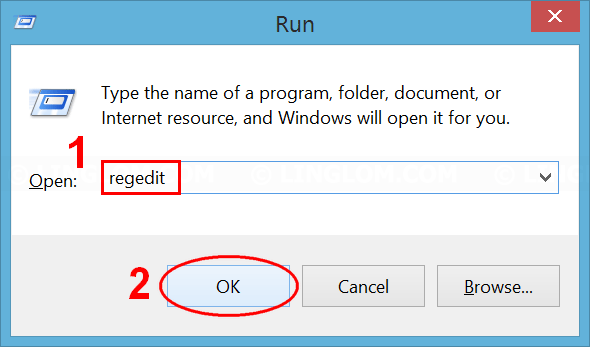 If you execute command in run box on Windows, it usually keeps the command in history. It is useful if you need to use the command again, you don’t have to type it. But if you are at public computer or maybe share this user account with someone else, they can see what have you done or which folder you accessed from the run box history so you may want to delete history from the run box after you executed some private command. 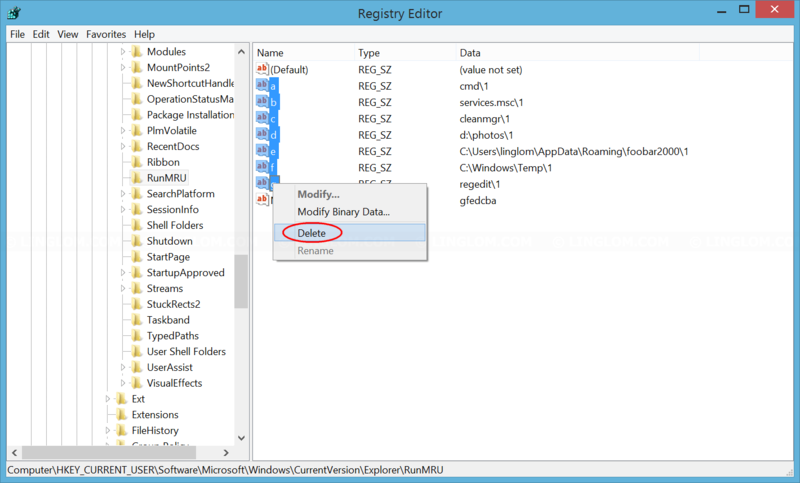 Use registry editor to delete run history. This method can be used on Windows XP, Vista, 7, 8, and 10. But you should be careful with Windows registry, it could result in serious problem if you modify it incorrectly. You can try other following method with user interface if you’re not comfortable with this method. This method clear run box history, and also address bar, recent files, frequent accessed folders on File Explorer on Windows 10. 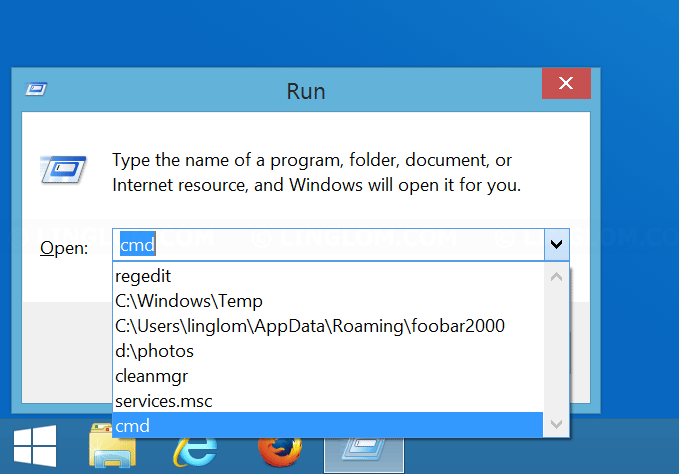 This method clear run box history and other local search history on Windows 8.1. 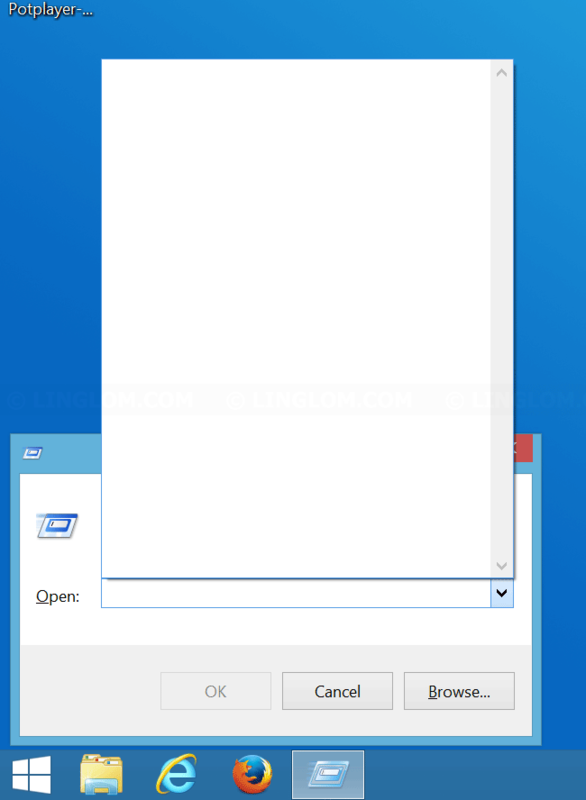 This method clear run box history and also recently opened programs in the Start menu on Windows 7. * (UI) is refers to user interface which means you can follows the guide easier. And even you did something wrong, it won’t cause serious problem to your system. Note: The step-by-step guide shows only the first method. You can watch all methods in the YouTube video below. 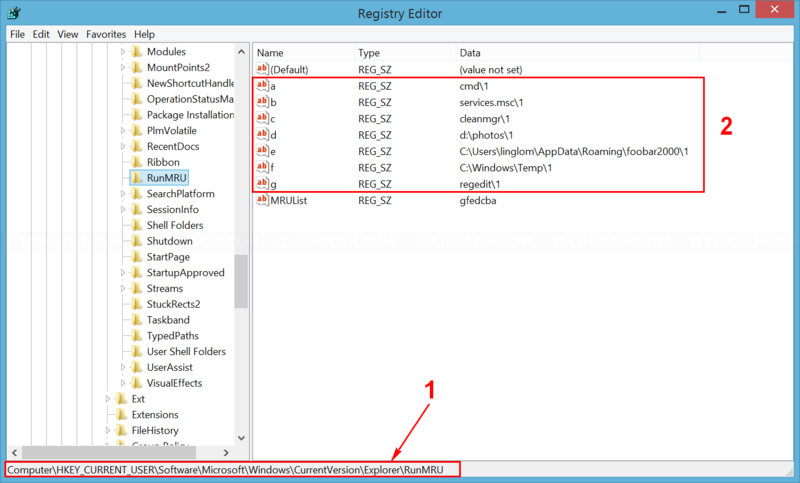 Note: Modify Windows registry incorrectly could result in serious problem to your system. You can backup registry before follow these steps or try other methods if you aren’t familiar with the method. Open run window and type regedit and click OK. Note: You can open run window by press Windows + R keyboard shortcut on Windows 7, 8, and 10. On registry editor, navigate to this path. Then, you see command history as key-pair value on the right window. Select key that you want. Right-click on those keys and select Delete. In this example, I want to clear all run history so I select all keys from a to g.
Now you see that run history is clear.